Simply stated, SEO is all about making your site more visible, accessible and acknowledged by one or more of the search engines that predominate the web today. The importance of search engines is undeniably evident in our day and age; while no one in business would say “Look up our number in the phone book”, it’s not unusual at all for someone to say “Google us” instead of giving out a website URL. 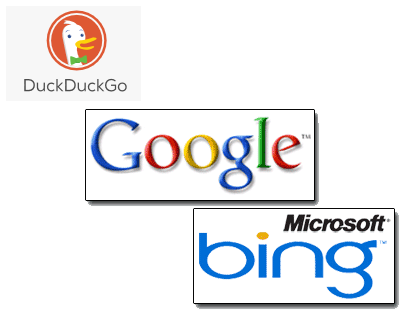 Everyone wants “top ranking” when it comes to Search Engine results, but did you know that many of the “too good to be true” promises of so-called SEO Experts are actually forbidden by Google, DuckDuckGo, MS/Bing and others? In fact, they can get your site banned from search results. At Atlanta IT Service we are familiar with the legitimate tactics and approved methods for making your site as search engine AND visitor friendly as possible. Content Audit; learn how to make sure your page has the right amount of content, in the right format to catch the eye of both your visitors and search engines. Keywords; let us help you find your niche on the web with concise, effective terms so that you don’t get lost in the search engine crowd. Tools & Research; possess tools that empower you to see where your site stands in the search engine world as well as assess the competition. Communities & Networking; learn how to seek out new opportunities to give your site broader exposure and find new audiences.